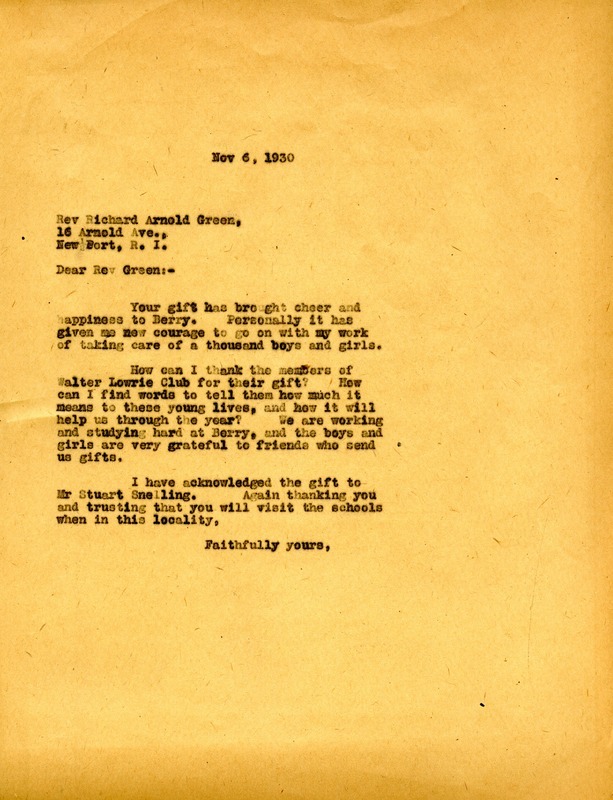 Martha Berry thanks Reverend Greene for his thoughtful gift to Berry. Martha Berry, “Letter from Martha Berry to Rev. Greene.” Martha Berry Digital Archive. Eds. Schlitz, Stephanie A., Angela McCavera, et al. Mount Berry: Berry College, 2013. accessed April 18, 2019, https://mbda.berry.edu/items/show/12672.